Benches, what do you think of when you hear the word benches? Some people conjure up the idyllic vision of a pretty park bench while eating their lunch in the sun, whilst others might have memories of the changing room benches before they did their sports days. 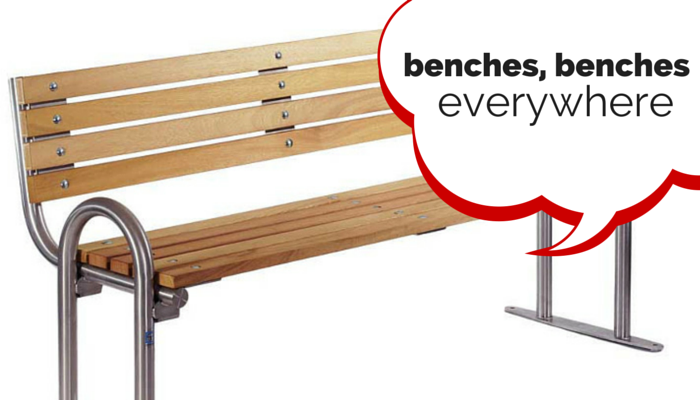 There are a whole range of benches out there so we are going to take a look at a few and give you the low down. Outdoor and park benches come in all sorts of shapes and sizes from the simplistic beam benches to the wooden back benches which offer a comfortable place for lunch or reading a book when you catch a quiet moment. They are also available in different materials from the FSC certified hardwood available to grade 304 stainless steel which is galvanised with a powder coated finish, both offer incredible durability. The other types of benches available are of course work benches, and there is a whole sub section available to meet whatever your requirements or jobs are. Which are used in a huge number of industries from distribution, manufacturing to pharmaceutical companies and even schools and colleges. And, of course one of the most memorable of all benches, changing room benches. They may not look any different to what you remember but they have come a long way from 20-30 years ago. You can get single and double benches which are your classic looking benches, but if floor space is an issue for you then cantilever benches are design to affix to the wall and allow more space below and above, which really help to maximise smaller changing facilities.